We’ve worked with MDHS for two years now. In 2015 we redesigned their previous website when they became an independent public school and changed their branding materials. 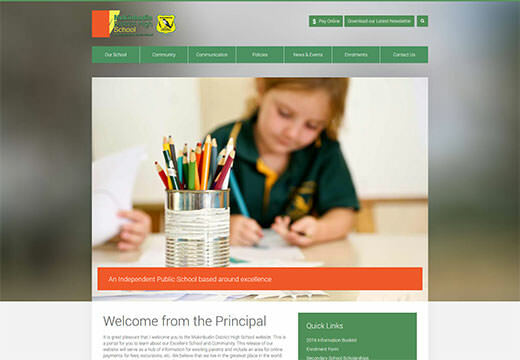 Their new website is the place for parents to download their fortnightly newsletter, view the canteen menu, browser school policies and even pay bills from the school securely online.